So if that’s the case, then we can’t define failure until we define success. How do YOU define success? Is it getting a hit? Is it pitching a no hitter? Is it having a quality at bat? Is it moving the runner? Do you even know how you are defining success to your team, to your daughter and to yourself? In order to help their players define what success is, it’s important for coaches to have a concise message of what it is that they are defining as success. A clear cut message so that the staff is all on the same page, delivering the same message to a team no matter what the circumstances are. You don’t want to send conflicting messages of what is and is not success, then you end up with confusion, which leads to insecurity and tightness while playing. 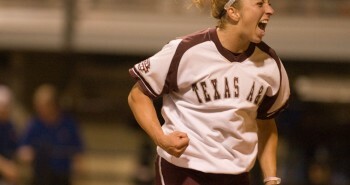 So, how do you define success in softball? If you are basing your success off of average and average alone, then yes, a hit for you would be considered success. However, batting average is the trap most players, parents and coaches fall into. Basing success off of batting average is like falling right into quick sand. The sand looks solid, it looks like you will be able to successfully cross over to the other side by going over the quick sand. But as soon as you step on the quick sand, what happens? It falls through. Few college coaches these days are paying attention to averages in recognition of their own team’s success. They are basing success more off of on base percentage and execution in a game. 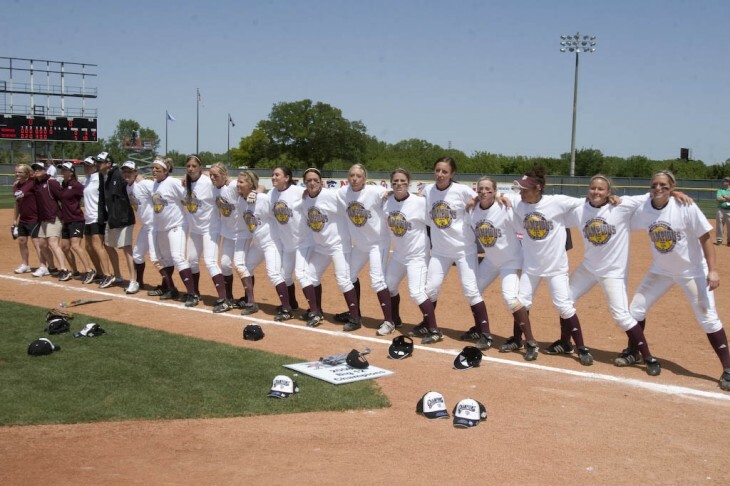 They base success off of how hard their team competed for the full 7 innings and how hard they fought for each other. Those are the real successes throughout the game to notice. Think about how a solid batting average is .300-.400. That means that 3/10 times you are getting hits (“success”) and the other 7 times you are not getting hits (“failure”). Well this would drive anybody nuts, and it would be hard to stay positive since in our game, when hits are defined as a success, we know that even the BEST players fail more than they succeed. When you are focused more on batting average, you are focusing more on yourself and your own failure than the team. When you are focusing more on competing, executing, and getting on base, the success becomes more focused around the TEAM rather than the individual. Competing, executing, moving runners and getting on base represent items that help the team towards their goals. If players are just thinking about to get a hit or not to get a hit, players allow the game to feel stressful to them, because of the amount of times you will “fail” in the eyes of your teammates, coaches, parents and yourself. It’s not fun to fail in front of people. And in softball, everybody knows when you strike out, everybody knows when you give up a homerun and everyone knows when you are the one that gets the big hit. It’s never a secret out on the field. Where coaches and most parents don’t see success are the smaller things, like when a player comes up with a runner on 2B with less than 2 outs and hits a ground ball to the right side of the field. The runner advanced to 3B on the ground ball, the hitter got throw out at first. In my eyes – that runner moving up a base, is success. However, most parents simply see it that their kid didn’t get a hit, therefore that at bat was a fail. Not true. As Americans we are prone to be individualistic and also because of technology, we all look for that instant gratification all day every day. In the game of softball, these are not good for our definition of success. Instant gratification rarely comes in this sport, it is more about sticking with “the process.” And I could see how one could get confused about it being an individual sport with so much pressure being put on one person at one time, but since its conception, this is a team sport, and always will be. So, what if we redefine what success is in our game and we stressed that new definition to girls the moment that they picked up a bat and a ball? Then they wouldn’t know anything different. We only know what we are taught. If no one has ever given us a different definition of success other than hit or no hit, then how could we ever know there is anything different? If we are taught that it is more about our individual results and less about the team’s results and process, then why would we think anything different? 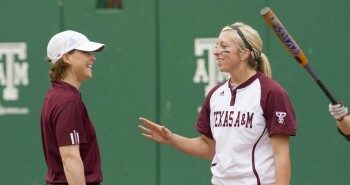 Sometimes, success and failure are not that black and white in the game of softball. However, as humans, we like black and white definite answers. Black and white is easy. We don’t have to search. We just have an answer right in front of us, easily accessible. However, in a sport known for failure, sometimes you have to look deeper to find the “mini successes” throughout the game. I always try to find the positives in any situation. I coach and look for mini successes along the way. I like to stress to my students that you can’t go from striking out 3 times in a row to hitting 3 homeruns in a row. That MAY happen to someone, but it’s not very realistic. I look for successes that are realistic and achievable so that a girl can stay positive and not feel any negative energy, thus having a higher chance of having a better at bat the next time she goes up in order to help her team. The minute negativity starts to creep in and get compounded in a girl’s mind, then the real chances of her going up and getting a hit with a runner at 3B are slim to none. “Mini successes” can also be known as staying “in the process” and staying present. So let me define “mini successes” a little bit more using examples…. Say a girl struck out in her first at bat chasing a rise ball that is over her head. If the other team is smart, what are they going to throw her again in her next at bat? That same rise ball. Well say that girl goes up for her second at bat of the game. She doesn’t swing at that rise ball, but she still strikes out on a curve ball that would have been a called strike had she not swung. What’s the mini success? Not chasing a rise ball. It could easily be looked at as a failure because she struck out 2 times in a row, but that’s not staying in the process and trying to stay positive in the moment. As a player it’s so easy to get caught up in the fact that you just struck out again and make that the take-away from your last at bat, instead of recognizing that you didn’t chase the rise ball. Because you didn’t chase out of the zone, you are giving yourself a higher opportunity to put the ball in play the next time and stay positive by not focusing on the fact that you struck out, but focusing on the fact that you didn’t chase out of the strike zone. That’s a mini success. Mini successes help stay positive for the benefit of the team. Let’s use a pitcher for another example. Maybe the last time the pitcher had an outing, she walked 5 people in 7 innings and they lost the game. Her next outing, she walked 3 people in 7 innings and still lost the game. If that pitcher throwing balls and walking batters was an issue, I don’t want to put the focus on wins and losses, I want to put the focus on the fact she had more command that game and got ahead of hitters better. So what you lost. It’s all about staying in the process and reminding her of little successes along the way. Staying in the process is going to help the team more down the road in the future. With these mini successes, not only does a player have higher chances of helping her team and becoming a more “successful” player in the long run, she also really learns the game. She learns to think about the game on a different level, thus becoming a higher IQ softball player and learning to think deeper than just wins/losses, balls/strikes, strikeouts/homeruns. This game….haha, this game is tricky. This game will laugh at you. It sets us up to fail in so many different ways, so we have to beat it by trying to set OURSELVES up for success. The easy route is to fall into the failure pit and get lost mentally in all the different failures that the game teases you with every time you step on a field. Then…you let the game win. Coaches get lost. Parents get lost. Players for SURE get lost. It’s most important parents and coaches don’t fall into the failure traps – they’re everywhere. Coaches and parents are the major influences for building a players understanding of the game. Players are looking to you and you will be the difference makers to helping them define what their success is. In practice and post game talks with your team, how are you defining success to them? 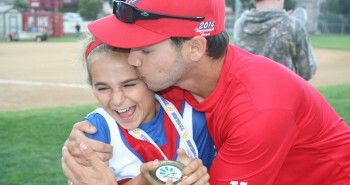 In the car ride home with your daughter (which in my mind is the place that makes or breaks a relationship with a daughter and her parents, but that’s a different blog for a different day), how are you helping her define success and helping her realize the positive takeaways from the game she can put in her back pocket for her next day’s work? The better question to ask yourself is, do you know enough about the game to find those mini successes so that you don’t fall into the traps of the big failures that are out there? Look deeper than the traps…those traps are set up for the individualistic players who only see the game as home runs, hits and strikeouts. This game deserves more than that. When you’re putting the team first, you don’t fall into those traps and you start to see the game differently. However, it takes more effort, it takes more knowledge and it takes more explaining. The big failures and the big successes in the game of softball that are easy to see (hits, homeruns, strikeouts) are for those people who are looking for that instant gratification and only define their success by results. This game is intricate. This game is detailed. This game is much more than wins, losses, strikeouts, hits and homeruns. The average fan, coach and parent go by the “big” fails and successes to define how their team approaches the game day in and day out. Don’t be average. Be extraordinary. Coaches and parents look for quick fixes and quick judgments to determine whether or not a player and a team is “good.” Our game and our players deserve so much more respect than that, simply by being taught that it’s not about instant gratification, it’s about the process along the way by pointing out mini successes when it seems like all we have done is failed. LIFE is not about instant gratification, it’s about the long run. Because believe me, there will be times in this game when you feel like this game has kicked you in the face, you’re a failure and no one on earth has ever felt what you are going through. I know every player has felt this at one point or another. How are you going to get through this moment? If you keep defining your success with instant gratification, you will keep feeling that awful punch in the gut. Stay present and remember it’s not about you, it’s about the team. It’s so easy to define and recognize a homerun as success and a pitcher striking someone out as success. The critical part is to look deeper than that. Our game is so much deeper than just that. If you are looking for the quick fixes and big successes, then honestly, this game is not for you. This game is about the long run. LIFE is about the long run. Pick successes that can build your confidence over time and stay in the process. There is always light at the end of the tunnel, but you can’t see the light if you fall into the trap of all the failures trying to pull you down. Hey, Amanda! Been a while since i’ve said hello. This was a wonderful read. I shared it with a few individuals from our travel ogranization. My coaches and I, sit often and discuss how we can continue to show the girls, “the right way”. This is a great help for some that may not know! We’re always learning, as players and as coaches. This taught me a few things as well! I love getting emails or comments from opposing teams parents and coaches when they compliment my staff and i, or our girls. Helps me know we’re headed the right direction and we’re being viewed as a good group. This can only help us continue on that path. Thank you for sharing it and putting it out there! It has been while! Thanks for stopping by, Adam! Hope you re are doing well! So cool that people will compliment your team – I love hearing that!! I think it is so meaningful and takes a little effort, but it goes a long waY! While reading this article I kept seeing different members of my High School Varsity team. The ones who are conditioned to see success and failure measured only in wins and losses. I had a discussion with the parent of my pitcher after a recent loss. The parents concern was that her daughter walked four batters and could only strike out three. I mentioned to this parent that it was probably the best game she had pitched all year. All three of the strikeouts came off her change up which up to that point she never threw because she thought it was her worst pitch. The fact that she now had the confidence to throw the pitch was a win for her and a win for the team. Sometimes the adults (coaches and parents) are the worst examples of success and failure because they try to live their lives through the lives of their children.